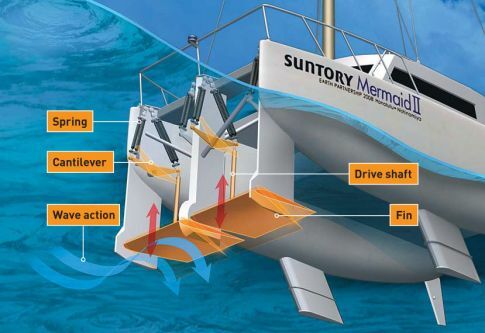 This month, 69-year-old Japanese sailor Ken-ichi Horie will attempt to captain the world’s most advanced wave-powered boat 4,350 miles from Hawaii to Japan. If all goes as planned, he’ll set the first Guinness world record for the longest distance traveled by a wave-powered boat and, along the way, show off the greenest nautical propulsion system since the sail. How to implement it in Indonesia,? Indonesia covers by sea but what kind of characteristic wave will be convenienced for generating power to drive the boat? What Fluid mechanical formulas and theory to be used?